At this special weekend event geared to kick off our exploration of the Law of Attraction, Bashar explores the nature of the tools and techniques we use to make changes in ourselves and our reality and why they work for us. .Many techniques like meditation, visualization and people we access like healers and doctors and teachers help us change our lives. Why are they able to help us? The answer to this question provides a new perspective of physical reality that shows how much power you actually have to alter your experience of life. Q&A: Generating positive feelings no matter what the circumstance. How beliefs interact with physical reality. What is enlightenment? What are the mechanics of love, the nature of love, the behavior of love? What determines motivation and does it exist on all levels of creation? Is there anyone born and raised on our planet that is currently over 200 years old? 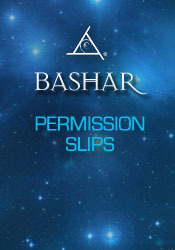 Bashar interprets the symbols in a person's dream encounter with an extraterrestrial. Transforming a speech condition by understanding it's purpose. Is time speeding up in our reality and how do we create that? Healing a spinal cord injury and how that relates to the use of "permission slips". A recommendation for a detoxification system. Conveying emotional information through music by altering the recording frequency rate. Were some of the teachings of Jesus removed from the bible? The gospel of Mary Magdalene as a source of information. What caused the negative change in humans from Lemurian times to Atlantean time and how does that relate to Mars? What caused the destruction of Atlantis and where was it located?